Hi everyone! Hope you are enjoying your New Year's Eve! We had some unexpected sickness here at the Kolling household and our NYE plans had to be put on hold.....that's ok.....family first! I did sneak in a little crafty time tonight to get back into the swing of things because the blog will be getting busy soon with new releases! So to send off 2013, I thought I'd share a quick birthday card using some of my Verve stash. I needed a birthday card and I love Verve's floral stamps. Here I've worked with blooms from Surely Goodness, leaves from Dream Big, and a sentiment from Poppy Birthday. I used the current sketch from CAS(E) this sketch #58. Here's to hoping 2014 brings you all health and happiness!!! 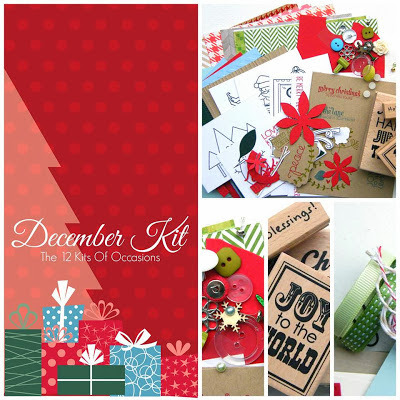 Welcome to the December Edition of the 12 Kits of Holidays and it's my birthday!! Every single month we get goodies from the hostess for the month. So many new things arrive..... makes it so fun!!! We have added a Facebook page so please go join our following over on the blog and LIKE us on Facebook! This month our kit was sent out by Jessica Davis. Jessica sent us so many goodies and she SPOILED us!!! 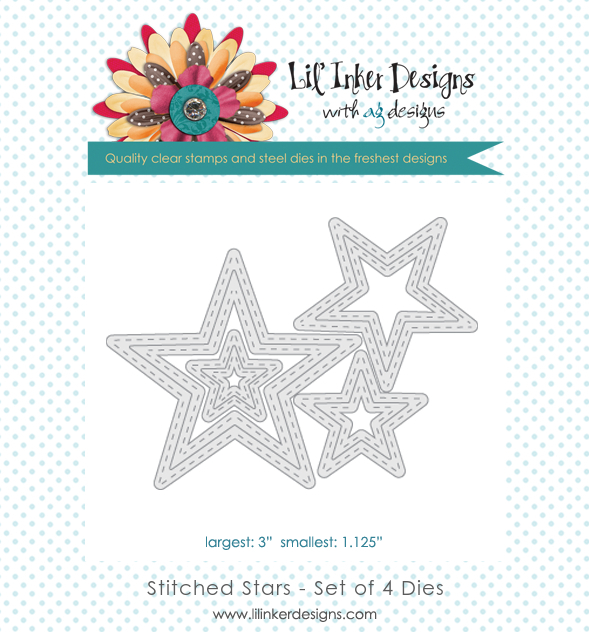 Our package was FILLED with goodies....die cuts, STAMPS, pattern papers. Wow! Thank you so much Jessica! For my first card, I've used the adorable bird diecuts and branch from Lawn Fawn. With a little Copic coloring, the birds turned out so cute and paired them up with a stamped sentiment and twine! My second card is probably my favorite. Don't we always have a favorite? I've used the poinsettia diecuts that were in the kit and layered them onto a woodgrain embossed panel from the kit. To make my leaves curl up a bit, I've just pressed on them with a rounded pen cap until I liked how they looked! My last card uses a fabulous word diecut layered over some Copic colored trees from Paper Smooches! I'm sending this over to the Paper Smooches SPARKS challenge this week because it's Anything Goes! That's it from me today but let's go check out what the rest of the group made with this kit!!! The full supply list can be found on the 12 kits of Occasions blog!!! Make sure to visit the 12 Kits Blog for all the details! Hi everyone! Merry Christmas! 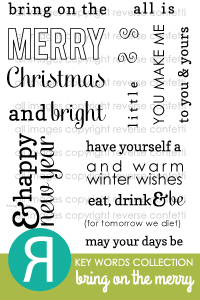 I'm sending Holiday Wishes to you a little early!!! Today is my last post for Timeless Twine as one of the Twine-istas for 2013. It's been a fabulous year of sharing my twine projects. Timeless Twine has been my go-to twine and I love using it! Thank you so much Stacy for having me this past year! 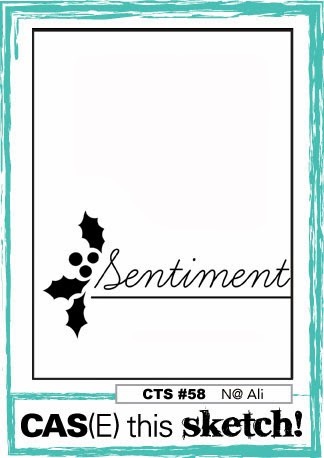 I've used some fabulous Cherry/Olive baker's twine from Bella Creationz paired with stamps (Tinsel 'N Trim and Bring on the Merry) from Reverse Confetti! Just a quick way to wrap up a gift card with a simple small kraft bag and twine from Bella Creationz. 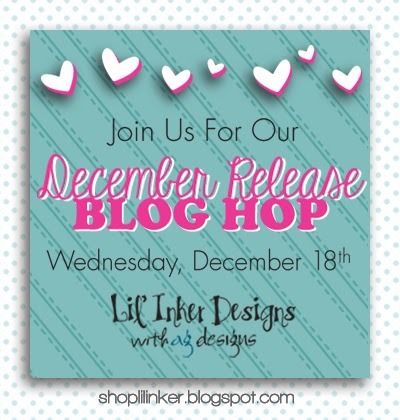 Welcome to the final day of inspiration for the Lil' Inker Designs December release! 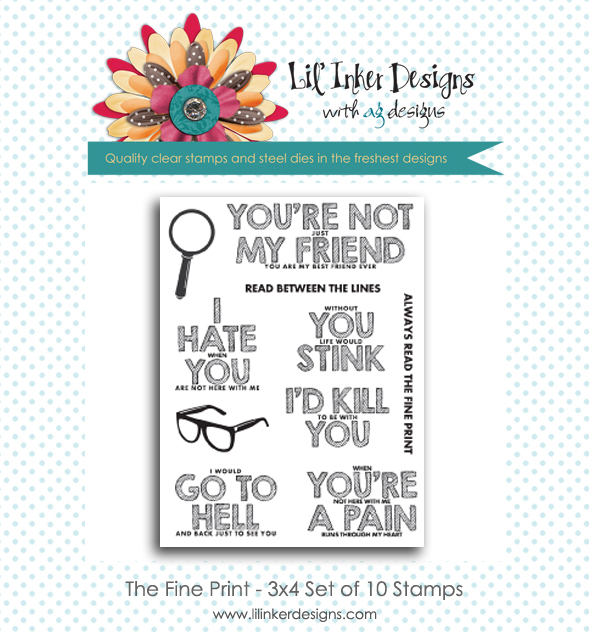 You should have arrived here from Alyssa's blog, if not please start at the beginning at the Lil' Inker Blog! I'd like to thank my friend Jennifer Ingle for doing a fabulous job as our Guest this month! Hope you had a great time!! Today I have a chalkboard type card to share.......a little different and "messy" than what I usually create but I can't wait to give this to a "teen" we know!!! 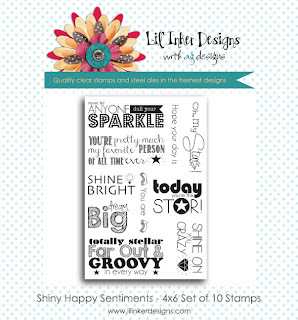 I've heat embossed in white and pink a sentiment from Shiny Happy Sentiments. I impressed some Stitched Stars into the background for a little texture. Using a white Signo pen, I drew white parallel lines with a ruler to frame my sentiment and then smeared it around with my finger for that "chalkboard" look! 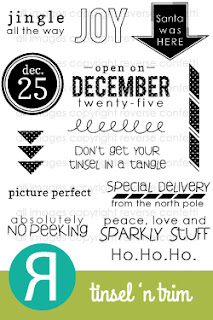 That's it for this release but there is still time to get your comments in for your change at a Gift Certificate! Your next stop on the blog hop is Jennifer Ingle's blog!! Thanks for sharing part of your day with me!! Welcome to the CAS-ual Fridays Challenge........a little early! Why? Well, we are pairing up with the 10 minute Craft Dash! If you can do it in 10 minutes or less, you can play at 10 Minute Craft Dash too! 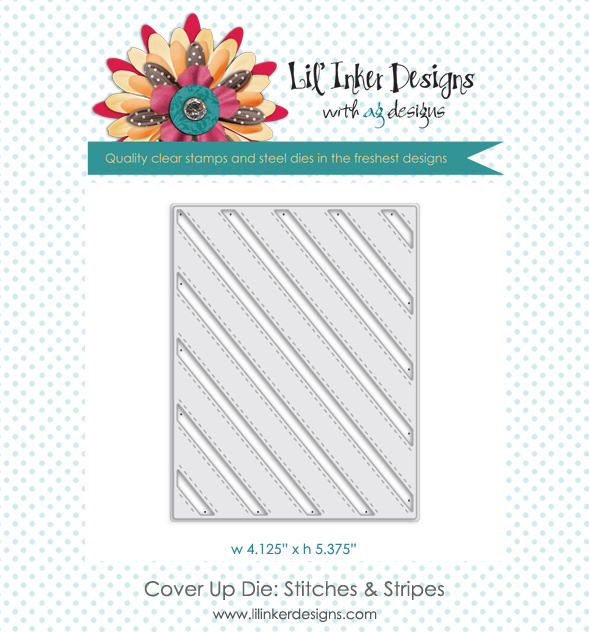 I've paired up the stamp set called Countdown from CAS-ual Fridays with the newest Cover Up Die: Stitches and Stripes from Lil' Inker Designs!!! I made this under 10 minutes.......8 minutes 37 seconds!!! 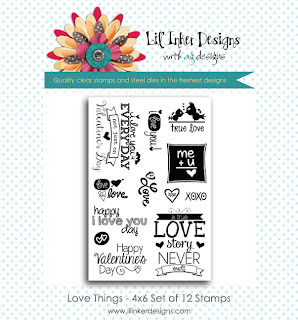 Our sponsor for this TWO-WEEK challenge is CAS-ual Fridays Stamps!!! Check out the CFC blog for prize details!! 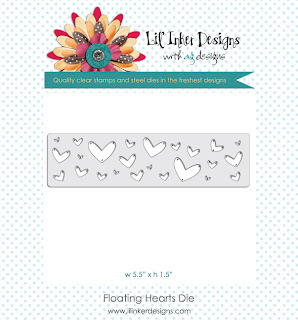 My first card uses the Floating Hearts Die and paired it with a sentiment from the Love Things stamp set. I just fell in love with this sentiment!!! 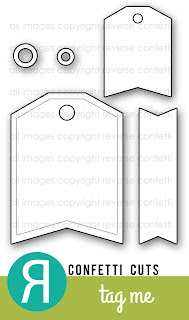 I can't remember what this technique for inking up part of your image on a die cut is called but I most recently watched a video to do it........I believe it was Laura Bassen! :) Check out her video HERE. My next card uses the same similar type of technique......now I'm hooked! I didn't use to be an "ANGLED" type of gal but now I LOVE it! Here I've used the discarded pieces of the Cover It Up Die: Stitches and Stripes to create my angled pieces. No need to throw them out! 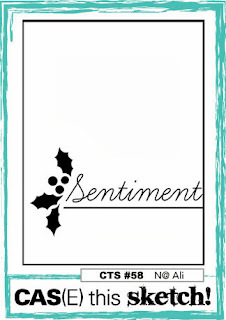 My sentiment is from another new stamp set designed by Laura......The Fine Print. 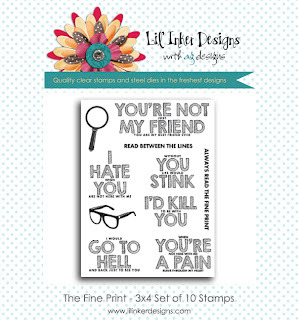 These are snarky "nice" sentiments!!! There will be a store credit winner for each day of our release hop and they will be picked from a secret prize blog so make sure you comment!!! 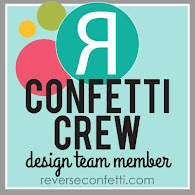 Your next stop on the blog hop is Jennifer Ingle's blog!! We have a very special guest joining us this month, my friend.......Jennifer Ingle! 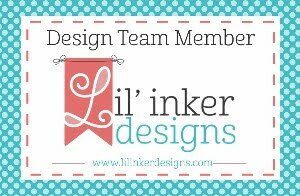 Welcome Jingle.....I can't wait to see what you have done with Lil' Inker this month! 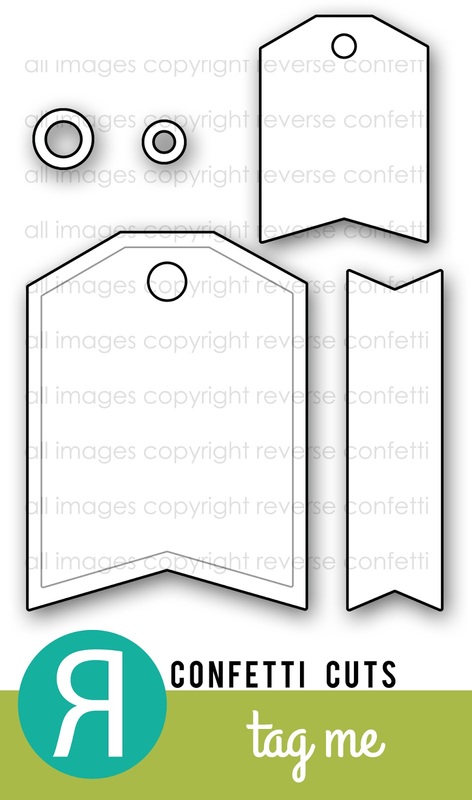 Today's project uses some AWESOME new tags that have a heart border.....Love Tags Die Set!!! 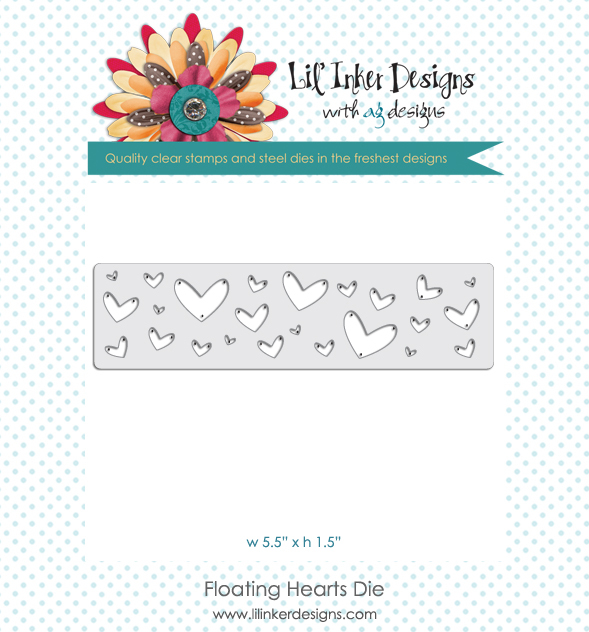 I've also paired them up with a die cut sentiment that was cut from the Cover Up Die: Love........and then some stitched hearts from the Of the Heart Dies. Just stopping by to share the newest color challenge over at the Reverse Confetti blog! 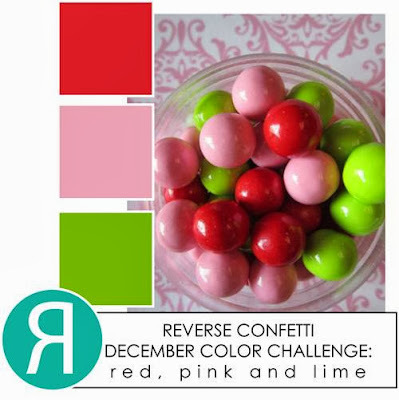 These colors could be used for lots of occasions! I've used So Stripey (one of my favorite sets) and paired it with a fabulous sentiment set called Lots to Say. Hi everyone!! Happy Friday!!! I'm hosting over at SCS in the Verve forum for Viva la Verve this week! With the move to a new blog coming in the new year, we have chosen some of our favorite sketches from throughout the years to play with. I couldn't let the holiday season go by without using my favorite poinsettia die from Spellbinders. I've paired it with a sentiment from Christmas in the Air by Verve and added in a small snippet of trim using the Pennant Trim Die. Here is the sketch that I chose to work with this week that you can find over at SCS in the Verve forum under Viva la Verve! Welcome to another CAS-ual Fridays Challenge! I'm so excited about this week's challenge.......there's something so serene about snow and snowflakes. So use snow or snowflakes in some way! I've used this color combination before and I just love the non-traditional colors!!! I've stamped some snowflakes with various inks and framed them with the Stitched Mats: Rectangles from Lil' Inker Designs! 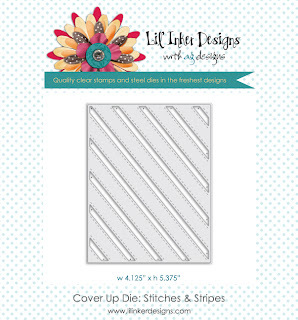 This is one of the BEST die sets to own.......you can get it HERE. 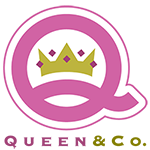 This week's sponsor is one of my favorite companies......Simon Says Stamp! Check out the CAS-ual Fridays blog for all prize details!!! 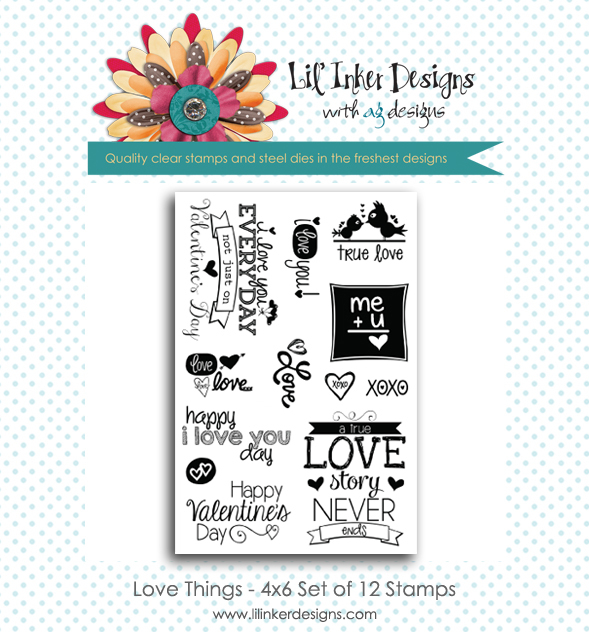 Simon Says Stamp Valentine's 2014 Blog Hop!! !